In today’s episode of the Abiding Together Podcast, we interview the wonderful Fr. Josh Johnson! Fr. 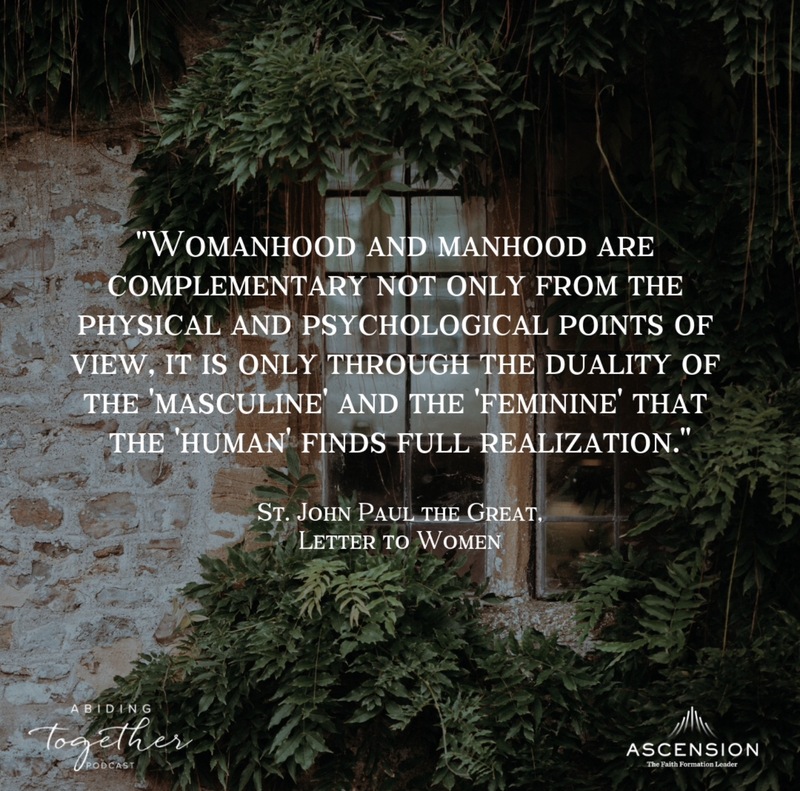 Josh shares with us his insights about how the feminine genius complimenting masculinity is meant to restore the Church. He shares about his personal encounters with Christ in the deepest places of his wounds and how that changed his life and shaped his ministry. We also talk about how all of this impacts the current scandals in the Church and our response to our own sin, hiding, and pursuit of personal holiness. Sr. Miriam’s One Thing – The “How Healing Happens” series on “The Place We Find Ourselves” podcast. How can your femininity compliment masculine hearts in healthy ways? Fr. Josh said that you can’t take a vacation from your vocation. 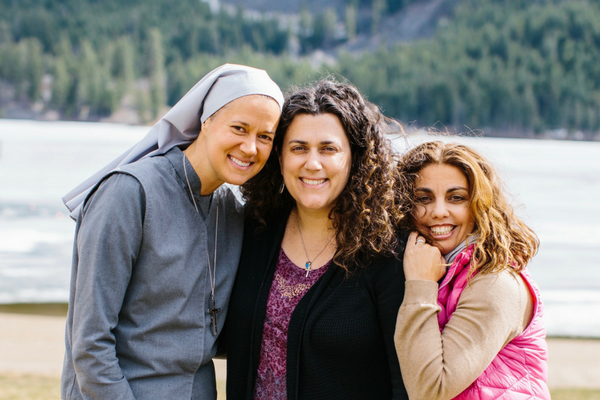 How can you embrace your vocation in a deeper way? Share your thoughts about the concept of fasting from talking so you can listen more to people around you (lectio divina of the person). When is a time that you have experienced the tenderness of God? How can you be more tender with people you are walking with in your life? Where is a room in your heart that God asked to enter that you have said “no” to Him? What would it look like to give God total access into your heart and life?